Ultra lightweight materials that feel excellent in use. The shoulder straps, hip straps and back support on this thing are literally incredible. Makes any load feel carry-able for hours. Tons of capacity. So much space inside and the top is adjustable to fit a ton of gear or just a little. Huge stretchy pocket on the outside of the bag along with two water bottle sized pockets on the left and right of the bag make for easy grab and go type storage. Only one external pocket (in the lid of the bag). But it has lots of space and is easy to get stuff in and out of. 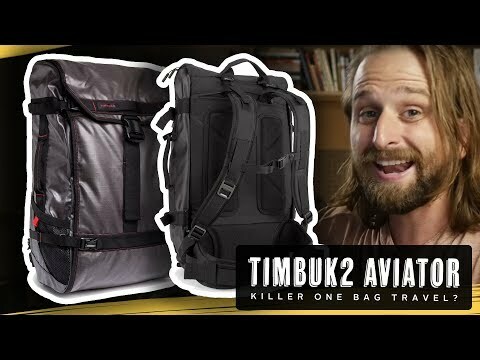 Easier to use this than many other more modern/technical travel bags. The Black Hole Duffel from Patagonia is called the "black hole" because it fan fit all your stuff.